Are you facing any kind of sexual harassment at your workplace or wrongful removal from employment? If yes, then you should contact the best service matter lawyers in Chandigarh. The main mission of the service matter lawyer is to stop employee harassment at the workplace and unlawful dismissal. In Chandigarh, employees are fully protected from unjust dismissal and unfair treatment by a progressive regime of rules, statures and judge made laws and notifications since adoption of Indian Constitution. Work place should be fee from employee harassment. Service matter lawyer in Chandigarh understands the mental stress which a termination, denial of disability benefits or employment harassment can bring to any employee of any firm or organization. Your hired service matter lawyer would legally assist employees/workers and their families and handle the financial burden caused by an unexpected income decrease and status. The best service matter lawyers in Chandigarh help their clients by giving effective access to court remedies for loss of benefits and damages. Every service matter lawyer fight for the employee rights against the employer to ensure that the employee’s right are handled properly and seriously. 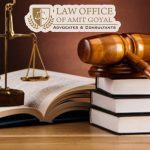 The service matter lawyer in Chandigarh understands the employee’s problem and protects him/her from the exploitation of the employers. The female employees in the today’s corporate world gets higher protection and safety by hiring service matter lawyer in Chandigarh. Sexual harassment at workplace and discrimination. Unlawful removal, suspension and dismissal. If you are also facing any type of harassment and discrimination at your workplace, then you should raise your voice. You should contact service matter lawyer with all the proof and they would surely look into this issue. Your hired service matter lawyer would take care of everything so that you would not have any type of stress. How to choose Service matter lawyers? Selecting any lawyer for your case, make sure you are considering all the vital factors for sure. These factors include experience of service matter lawyer, education and his/her knowledge relating to his field. Get the help of Chandigarh service matter lawyers and get the solution of your problems in the best possible way right now!